Our Tranquility Collection is designed to engage multiple senses to help you relax and remain calm. Using each of these products as a system will help you reach your wellness goals quicker with lasting results. 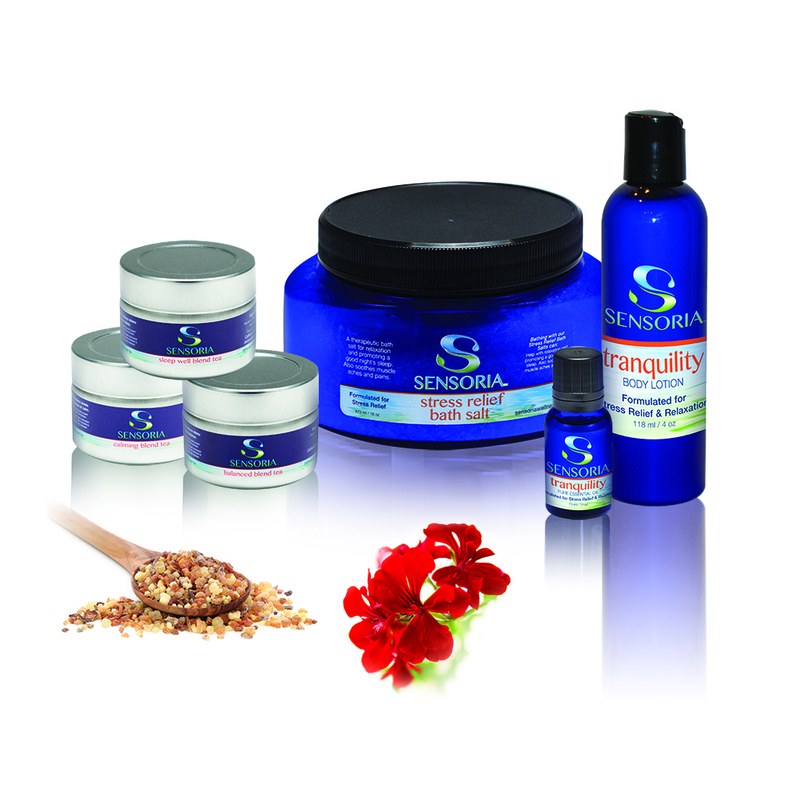 Continue to breathe, drink, soak and absorb Sensoria�۪s Tranquility collection to follow your natural path to wellness. This blend of oils contains our Tranquility Essential Oils: An Aromatherapy Blend of oils designed and crafted to calm and relax your body. We use 100% Pure Undiluted Essential Oils. Our Tranquility Essential Oil is a blend of pure undiluted essential oils. Massage: Combine 97.5% of carrier base oil with 2.5% of the Tranquility Essential Oil Blend (approximately 7 to 8 drops to 1 tablespoon or 15ml). Soothing Bath: Using the included essential oil dropper, add 5 to 6 drops of the Tranquility Essential Oil Blend to a warm bath. Agitate the water to disperse essential oil. A little goes a long way! Relieve stress by massaging our Tranquility lotion into your skin. Our synergistic blend of essential oils in this lotion promotes a feeling of calm and relaxation.